The Barrier is developing Sweetwater Youth Camp. 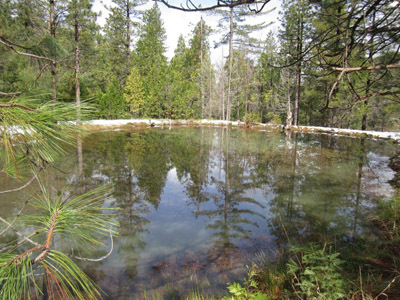 It is approximately 100 acres of beautiful, pristine forestry land—which boasts of a larger portion that encompasses a long flat valley, nestled in the midst of large Ponderosa pines, elegant Douglas firs, stately cedar trees and majestic oaks. The view and terrain are simply breathtaking – only about 8 miles, as the crow flies, from Yosemite National Park, and a short distance from the Merced River. 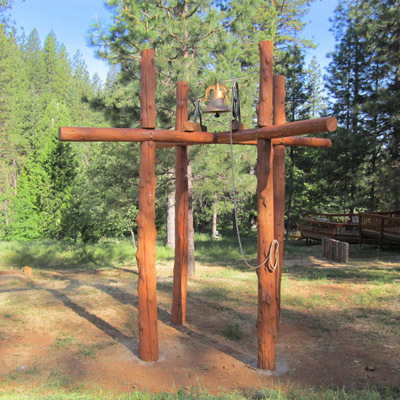 All of this about 4,600 foot elevation – completely surrounded on all sides by the Sierra National Forest. Sloan Canyon Church supports this project along with other churches. It is a great opportunity for our youth to learn about Christ in a beautiful outdoor environment with a loving Christian influence. 1st: We desire to provide a family retreat designed for the household of faith, offering a perfect opportunity to spend priceless bonding time with your family – making memories that will be treasured for a lifetime. Sweetwater is a place to live, grow, and minister to others in a quiet, serene setting away from the distractions and pressure of everyday life – form taking a leisurely walk along Sweetwater Creek with cascading waters rippling off the slabs of dark slate outcroppings, surrounded by native flora; or merely sitting around your own private campsite resting and enjoying the smells, sights, and sounds of God’s creation, Sweetwater will allow you to relax and reflect with those of like faith. 2nd: We are committed to providing a quality, five star, Christ-centered, camping experience for the youth of our local churches that will stay with them forever at no cost to the youth, their church, or their family. 3rd: Our mission is to make a difference in the lives of countless at-risk youth who would otherwise not have the opportunity to experience a functional, meaningful, fulfilled life. Sweetwater’s environment has what the Mariposa Gazette referred to as “the awe factor” one in which a child is exposed to beauty, character and the love of Christ. 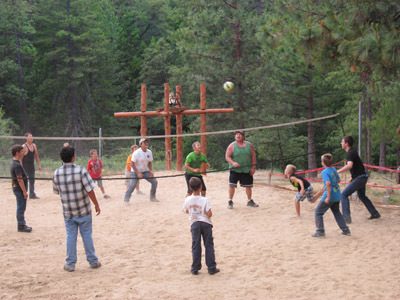 The Barrier is convinced that you will find Sweetwater Youth Camp a place of spiritual refreshment, enduring fellowship, and a challenging physical experience.